Losing hard-earned cash isn’t funny. Second to rats nibbling away at your huge stash of bank notes, losing money because of workflow inefficiency is a frustrating, if not irresponsible, way to be in the red, especially since it could have been prevented. Imagine having to incur penalties for late payments, not because you don’t have the money to spend but because your Finance department somehow failed to process the invoice sent by the supplier, or paying a huge sum of money because an important document managed to find itself missing while in the middle of a litigation, or worse, paying for goods that never actually arrived. In the corporate world, work mismanagement, if not nipped in the bud, can lead to a thousand and one ways to squeeze your money vessels dry, something no entrepreneur in his right mind would ever want to see happening in his company. 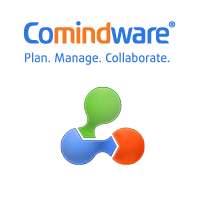 Enter Comindware, a company founded in 2010 by Max Tsypliaev, along with his managing partner from Acronis, Helmut Heptner. Mr. Tsypliaev is a serial tech entrepreneur whose experience with startups spans over fifteen years, commencing while he was still in graduate school. When he was co-founder and CEO of Acronis, he grew the company to become a multimillion dollar enterprise and a market leader in the field of storage management, backup and disaster recovery solutions. Prior to Acronis, Mr. Tsypliaev served as CEO of PhysTechSoft. Comindware’s flagship offering, Comindware Tracker, is a workflow and task management software that aims to automate, optimize and simplify repetitive or routine processes that include new employee hiring, time-off requests, employee performance appraisals, budget and expense approval, bug tracking for IT helpdesk, among so many others. Comindware Tracker is a single product that comes with several pre-built solutions that can be tweaked according to your unique business specifications. It can cover virtually every area of your business – Human Resources, IT Helpdesk, Sales and Marketing, Finance and Administration, Compliance and Policy, Training and Education, Software Development, just to name a few. What’s even better, you can create your own customized solutions without going back to school to learn complex programming. With its user-friendly interface, Comindware Tracker’s Graphical Workflow Builder allows you to simply drag and drop items in the dashboard to visually design and deploy your workflows. Connect the dots … in a single system! 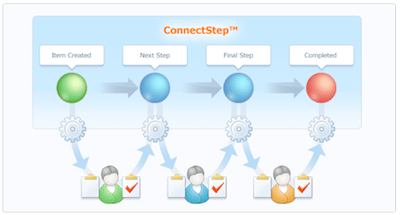 Comindware’s patent-pending ConnectStep technology combines task management and workflow coordination tools in a single location. Yes, no more switching from one application to another to update your records and files, making reports generation a few mouse clicks away. Plus, whenever a new task is created, ConnectStep pushes email notifications to the next user’s inbox and updates his/her to-do list to ensure that no tasks get lost or overlooked. Another distinguishing factor that is uniquely Comindware is ElasticData, an award-winning, patent-pending technology that allows ultra-flexibility in your workflows. This means that even when your workflow has already been designed and deployed, you can still make alterations, if and when warranted, without disrupting current operations or the fear of losing already generated data. Wait, there’s more … seriously! Aside from Comindware Tracker’s ability to be integrated with Microsoft SharePoint and other third-party applications like Microsoft Outlook and CRM, it can also be deployed either on premise or in the cloud. Just recently, an iPhone app has been launched for workers who are constantly on the move. The app enables them to stay productive while in a taxi, at the airport, anywhere basically. Finally, if you want to test drive the software in your own unique work environment, Comindware offers unlimited trial for 30 days absolutely free – no credit card needed, no installation necessary, and no hard feelings if you feel it’s not for you once the trial period expires. Maricel Rivera is a financial researcher, freelance writer and digital marketer with previous work experience in systems programming for a pharmaceutical firm and tech support for a BPO company. She had majored in Math in college but had really wanted to become a journalist.